Let’s try an experiment. Close your eyes and imagine a watch with three big hearts on the dial. Are you picturing it? I bet whatever picture you’re seeing in your mind probably looks pretty cheesy, and not like any design that would belong on a luxury watch. In an attempt to eliminate the tackiness that can easily be associated with hearts, the Bvlgari B.zero1 Women’s Heart Watch BZ35BHDSGL/2, approaches this shape from a classy and sophisticated direction that many will love. Unfortunately, with a strong connection to Valentine’s Day, it will probably never be possible to take all of the cheese factor away from the heart shape. However, Bvlgari makes a solid effort with the design of this watch. Outlined in tiny diamonds against the black dial, the hearts appearing on this timepiece are kept sleek and presented with an element of class. Not only are these hearts elegant, their shape is used to create an interesting pattern on the dial. That is to say, while you can tell that there are hearts on the face of this watch, they are interlocked in such a way that from a distance they create a visually interesting and almost abstract looking design. This watch is not just a pretty face; it also has the brains to back it up. As it is a Swiss-made timepiece, you can rest easily knowing that its quality is ranks right up there with some of the best in the world. If you like this watch and you either absolutely love its little heart-shaped details, or can learn to love them, then this is a good option for you. If hearts are definitely not your thing, but you really like the style of this timepiece, then you might want to check out the rest of the Bvlgari B.zero1 collection. Some women may wear their hearts on their sleeve, but the Bvlgari’s B.zero1 women’s quartz watch BZ35WHDSL/2 allows you a more fashionable option. Stylish, chic, and Bvlgari, this watch will having you falling in love with its classic design. Bvlugari’s prowess with jewelry stands it in good stead when making watches that do more than just tell you the time; they make a statement as well. Bvlgari believes in a holistic approach to watch making and follows their products from the design room to the showroom, which means that the final product is unique to Bvlgari and ensures that each timepiece is as finely crafted as any of Bvlgari’s jewelry collection. 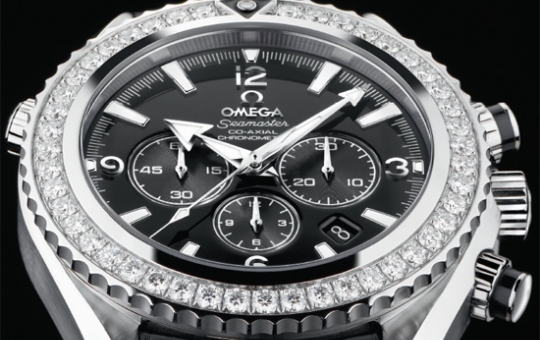 With a beautiful mother-of-pearl dial and heart diamond accents, this watch will set your own heart pounding. The watch isn’t overloaded with gaudy diamonds, but tastefully creates a unique design with the same attention to cut and purity that Bvlgari applies to all of its collections. Bvlgari design infuses craftsmanship and style with wearability and comfort. Bvlgari’s delicate design showcases the jeweler’s skill in setting the diamonds with just enough glitz that reflects the wearer’s personality instead of stealing her shine. The stainless steel case and scratch resistant crystal help keep this watch looking new and allows this watch to transition easily from day time to nighttime while the leather watch strap allows for a comfortable fit. No numbers or even tic marks make this a difficult watch to read. The exceptionally tiny minute and hour hands do not make the watch any easier to tell the time. The pure white design is chic but also can easily show dirt, particularly on the white leather band where it can be difficult to clean oil and dirt off of the crevices. This watch prides itself on simplicity, so if you’re looking for bells and whistles, you’ll have to look elsewhere. (If you like this style but want a bit more data for your watch, I suggest Bvlgari’s DG35WSDWVDCH/8 which combines the pure, clean look of this watch with the date and time capabilities of a chronograph watch). If you like the idea of the design, but not the color scheme, try the BZ30C2HDSL/2 or BZ35BHDSGL/2 which include the same quality and heart motif without the monochrome scheme. Overall the Bvlgari’s B.zero1 women’s quartz watch BZ35WHDSL/2 is as timeless as it is unforgettable—though whether you’ll remember what time it is after you look at it may be another issue! Bvlgari is a very well respected designer and happens to be a favorite among many women. The Bvlgari women’s B-Zero1 watch is a trendy time piece designed for fashion gurus everywhere. This classic style accessory is certain to make you be the envy of all of your friends. The blue mother of pearl dial is sure to be the cause of why this particular watch catches your eye. The movement of this watch is quartz. The dial is protected by scratch resistant sapphire crystal to save you during casual accidents. Around the dial the brand name Bvlgari is spelled out. The jewelry styled time piece is very small with the stainless steel case measuring at 22 millimeters in diameter. The bezel is also stainless steel. The dial contains luminescent minute and hour hands but no second hand. There are diamond indicator hour markers. The leather bracelet measures at seven inches in length and has a pin and buckle type clasp, ensuring that this watch will be secured to your wrist at all times. A great feature of this watch is that even though it’s very fancy it’s still water proof, it can go as deep as 90 feet or 30 meters of water. A screw down crown is there to make sure no water will ever make its way into the Bvlgari B-Zero1. This watch retails at $2,400, making it a very expensive item to own. This watch is perfect for dressy occasions. The watch is available in many different styles and colors, as well as prices. This same watch is available with a black dial as well as a floral print dial. There is also an all white variation of this watch available for sale. If you like the style of the face but you’re not a huge fan of the bracelet, have no fear, the Bvlgari B-Zero1 is available with a thin stainless steel bracelet. This watch is available in many different colors, styles and prices. If you are genuinely interested in purchasing this watch it is best to do so through an authorized Bvlgari dealer. Bvlgari is often counterfeited on the internet so if you’re willing to spend this much on a watch be sure that you’re getting your money’s worth! The Bvlgari B-Zero1 women’s watch is sure to catch everyone’s eye.